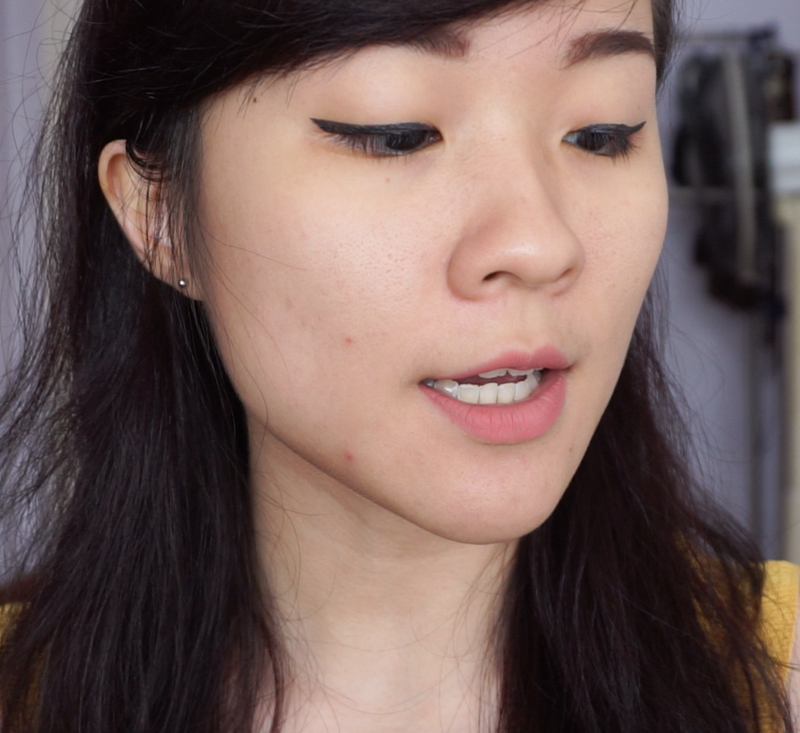 Hooray for drugstore foundations, especially when they are catered towards oily skin. This new Covergirl foundation comes in 40 shades and retails for $9 (1 oz/30ml). The foundation claims to be naturally matte, flexible and comfortable. It also claims to blur pores and be transfer proof. You should be able to find it easily at the drugstore but I got mine off Amazon. 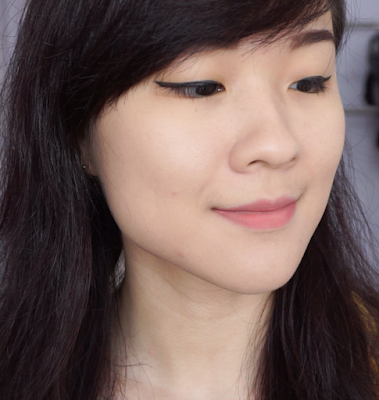 I am Asian with fair skin and neutral warm undertones and I got the shade L40 Classic Ivory which turned out to fit perfectly. I am usually NC20 or #21 in korean foundations. This foundation comes in a glass bottle which feels very sturdy and it has a pump with a lock mechanism. Overall, the feel of it is pretty good for the price. The consistency of the foundation leans towards the creamy side but it spreads and blends easily. This is how the foundation looks upon application. Top photo shows my bare skin. You can see some redness, zits and my bigass pores. After a layer of foundation, most of the redness has been concealed and my pores are minimized. It didn't completely conceal my zits but the coverage looks very natural without clinging onto any dry areas. I'd say the coverage is a light-medium. It does have a matte finish but it also leaves a tacky feel immediately upon application. The tackiness does go away after awhile but it might return throughout the day if it's really hot and humid. I did set my face with the Innisfree No Sebum Mineral Powder but unfortunately, the oil control on this foundation is really bad so I had to blot every 2-3 hours. It is transfer proof as it claims so that is something good. Unfortunately, I wouldn't really recommend this foundation to anyone with oily skin because of the bad oil control. This foundation would only be good for times when you plan on wearing foundation for a short period of time. Also, the coverage leans more on the natural-looking side so it won't cover much imperfections unless you already have good skin. Against all of the other foundations I've tried so far, this one ranks at number 15 out of 19.